Normally, a product whose name is literally “It’s a 10" and contains the word “Miracle” would make me roll my eyes, but, uh, this stuff really is 10/10 and I would classify it as miracle-induing. 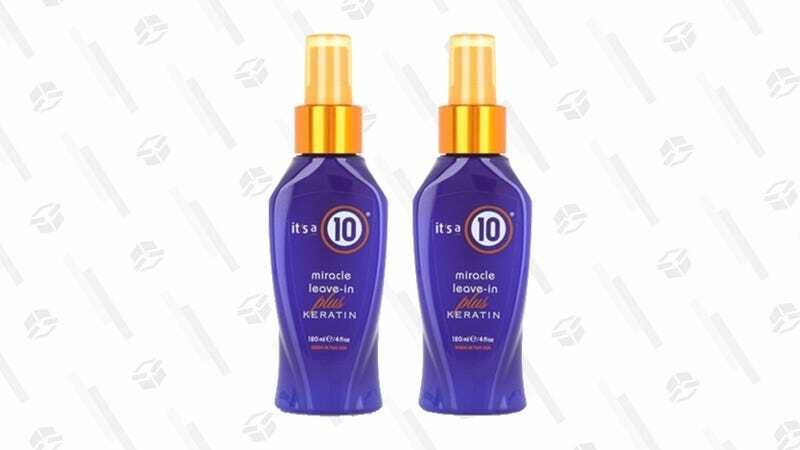 It’s a 10 Miracle Leave-In Plus Keratin will make your hair super shiny and strong, and today a two-pack of these cult-favorite sprays is just $30, which is a good deal considering just one of this little 4-ounce bottles usually costs at least $20. Simply spray this magical concoction all over damp hair, comb it through, and prepare for hair miracles to happen once everything dries. Just be sure to stock up before this product sells out.